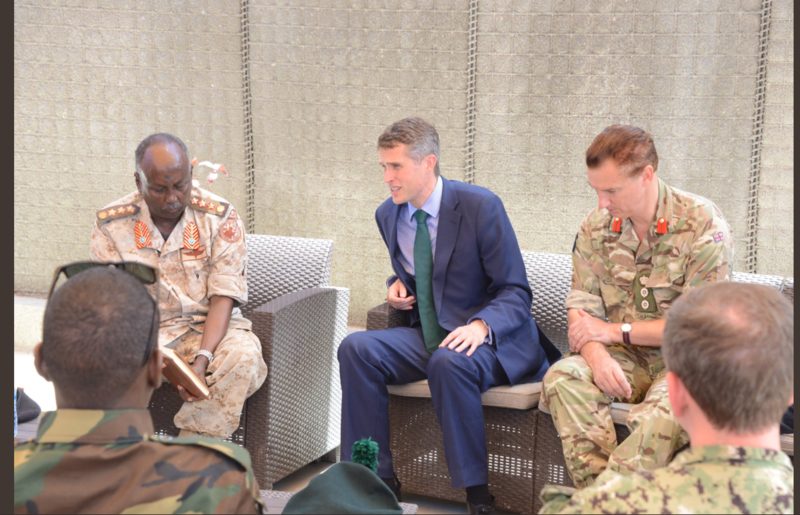 Britain’s Defence Secretary of State Rt.Hon Gavin Williamson travelled to Mogadishu on Tuesday as part of a regional tour. 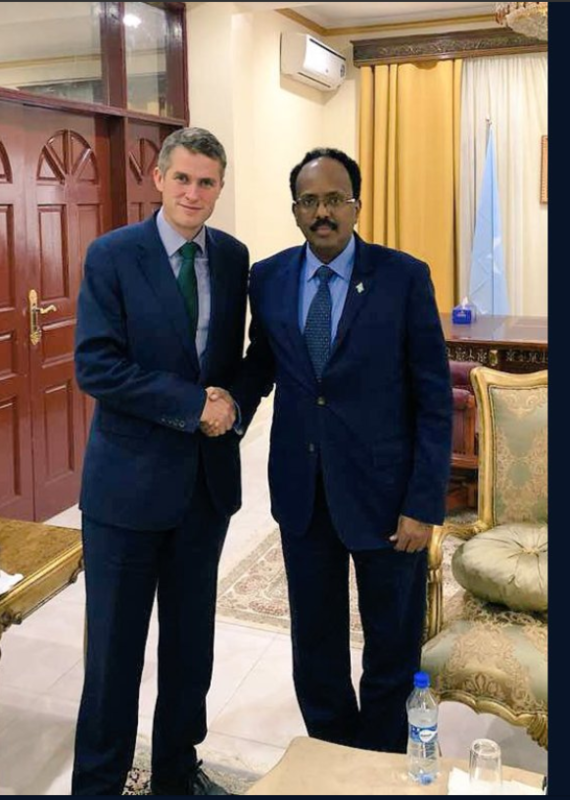 While in Mogadishu, he re-affirmed the UK’s commitment to supporting Somalia deliver real change on security, politics and the economy for the benefit of all Somalis. The Secretary of State held meetings with the President of Somalia Abdullahi Farmaajo and congratulated him on the positive outcomes during the Somalia Partnership Forum agreed in Brussels. He especially acknowledged outcomes on inclusive politics and positive progress on security sector reforms as well as the integration of regional forces vital to fighting Al-Shabaab. 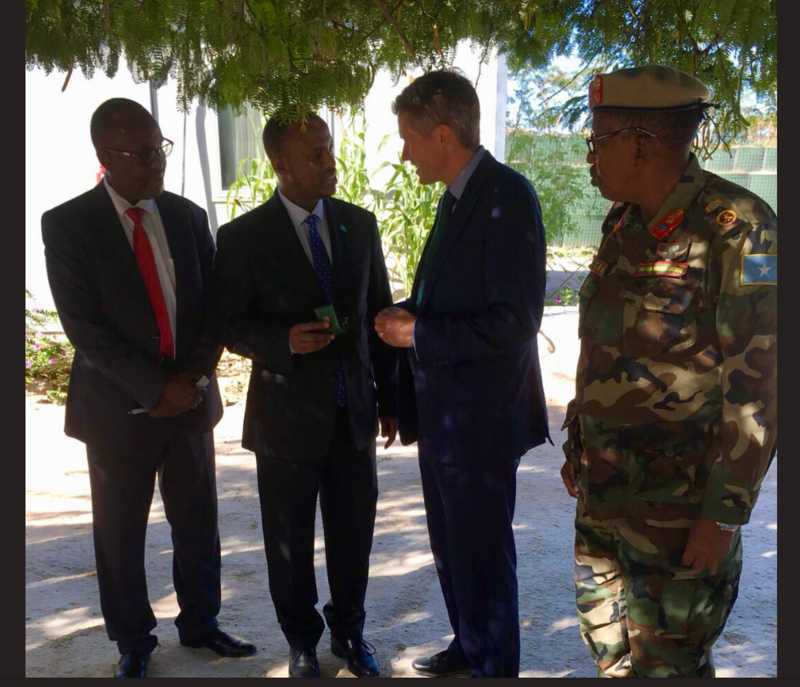 During a meeting with AMISOM leadership, the Secretary of State discussed how the UK and AMISOM can help deliver the Somali Transition plan and emphasized the crucial role AMISOM plays in helping Somalia take responsibility for its security. He reiterated the UK support highlighting how the UK ggovernment, through the United Kingdom Mission Support Team (UKMST), has bolstered training support to AMISOM troops and the Somali security forces in Mogadishu and federal member states. 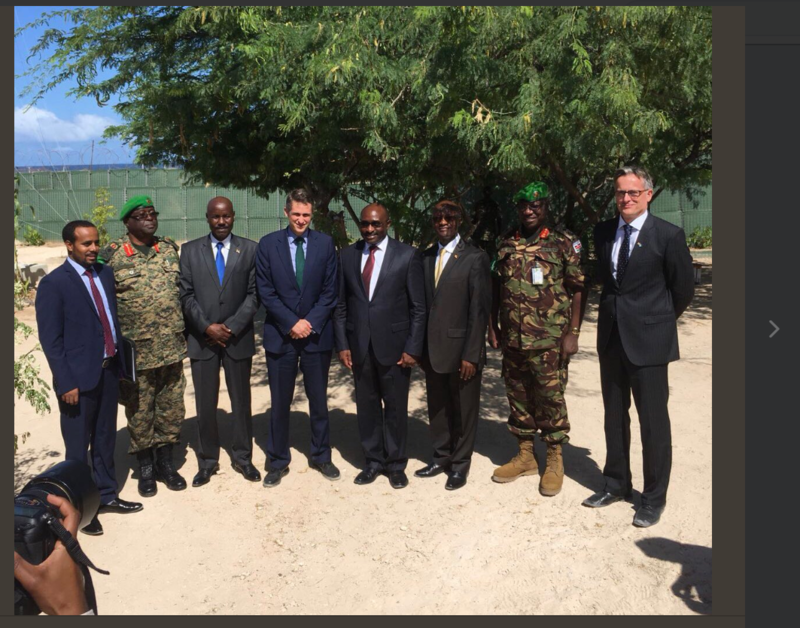 Minister Gavin also held meetings with his Somali counterpart, Minister Hassan Ali Mohamed, and Chief of Defence Forces Major General Abdiweli Jama Gorod’. Their talks focused on rebuilding accountable and capable security forces to take up the country’s security. Rt. Hon. Williamson also visited the AMISOM Intelligence, Surveillance and Reconnaissance Cell, where he interacted with the AU and Somali facilitators on issues of child protection, gender and conflict related sexual violence commending them on extensive cooperation among diverse stakeholders who are enabling the reconstruction of Somalia.